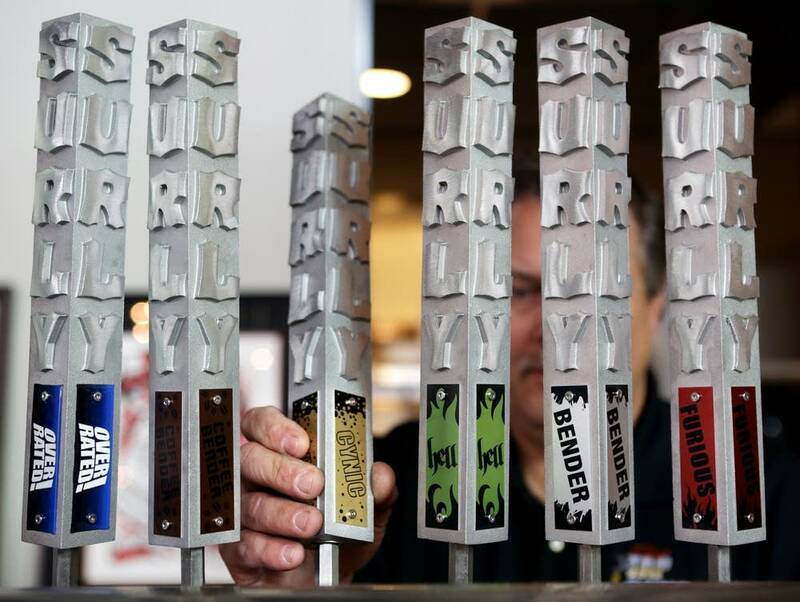 After three years of intense lobbying and preparation, the Surly Brewing Co.'s beer taps will finally open at its massive new complex, adding more fuel to a new age in Minnesota beer culture. At 11 a.m. today, beer drinkers will be able to judge for themselves if Surly can deliver on its promise of a destination brewery. It's been a long time coming, said owner Omar Ansari, who grew interested in the beer business two decades ago, after his girlfriend bought him a home brew kit for his birthday. 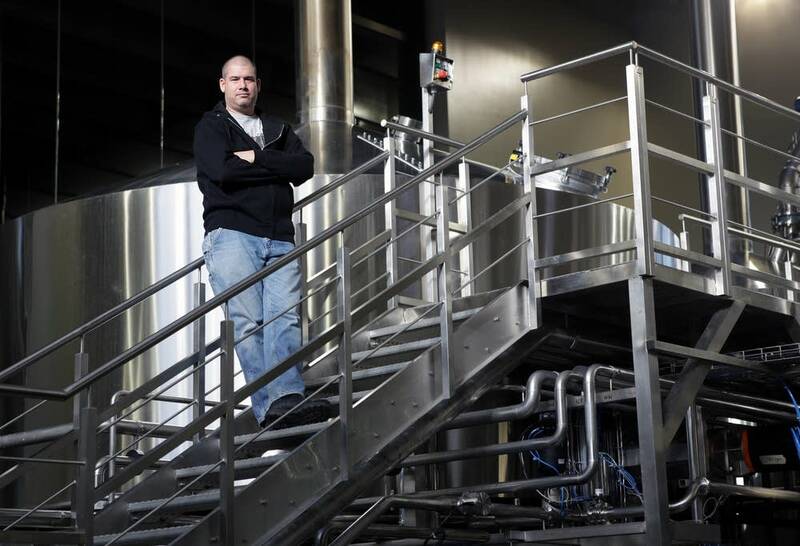 That eventually led him to open a tiny brewery in the corner of his family's abrasives factory, and later move to a factory in Brooklyn Center. The business thrived, but Ansari aimed for a bigger and more ambitious operation. In 2011, Surly lobbied for a rare change in liquor laws to allow breweries to sell directly to the public — not just samples. 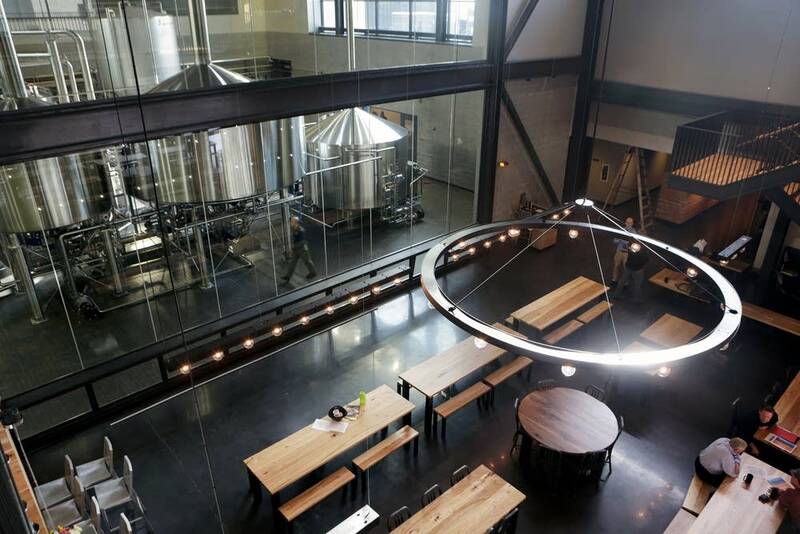 The changed law made possible Surly's new $34 million facility, tucked into a Minneapolis industrial park at the site of what was once a potato processor. With its malt mill and other parts of the brewing process running, one of the state's most influential beer makers is about to get underway with its most ambitious effort yet. 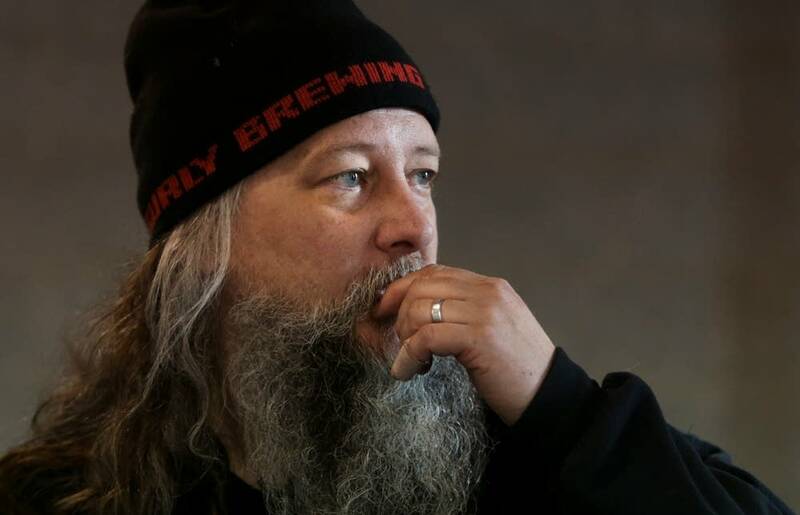 "A big brewery ... it's like a big ship," said Todd Haug, head brewer at Surly. "Once it's pointed in the right direction, it's fine. But you can't really do it very fast." Surly has been making beer at its original Brooklyn Center spot. Its new facility will be fully operational when workers finish installing packaging equipment over the next two weeks or so. "There's a lot of stuff to go through, a lot of stuff to clean, there's some parts that have to be set up in the field," Haug said. "The brewhouse is operational, so we're very close in the next two weeks." Surly's new brewing facility can quadruple the company's current production of 42,000 barrels a year. Meanwhile, the beer will start flowing in the restaurant, where a former chef from the Solera restaurant in Minneapolis already is cooking in the kitchen. There are gas-fueled fire pits waiting on the patio and a 58-spot bike rack waiting for cyclists outside. "We wanted to serve people a glass of beer, because Todd and I have seen some things around the country and what you can do when you can sell someone a glass of beer," Ansari said. "We've got a restaurant upstairs, an event center. It's really hard to do all that when you're giving away your beer for free." The company's new operation is much bigger than its old one, with a main beer hall that seats 216 people. The restaurant upstairs has room for 90, and an event center will accommodate 130 more. It has about 50,000 square feet of floor space, slightly less than half the size of a regular Target Store. Outside is a beer garden that is bigger than a football field. Although Surly led the taproom effort, its Minneapolis location will join a busy field of competitors. Surly is the fifth brewery to open just within a few blocks of the Green Line light rail line. Bang, Fulton, Urban Growler and Tin Whiskers are just a train hop apart, sparking a small brewery competition that is only growing. Craft beer sales have grown to 8 percent of beer sales in the United States, but beer sales overall have been declining, by about 2 percent, as young people turn to wine and liquor. Rob Shellman, founder of the Minneapolis-based Better Beer Society, thinks Surly will help build a critical mass that will help brewers take more market share. "Beer tourism is on the rise across the country," Shellman said. "And I think what they've done with this expansion is really kind of open the floodgates towards beer tourism here in Minnesota." While established craft brewers welcome the surge in interest, they say it's beer, not bricks and mortar, that makes the business. Summit Beer doubled its brewing capacity in the last two years. It's among the most successful craft brewers in the United States. "Eight out of ten people — of beer drinkers — still prefer light, domestic style lagers, which to us means that there's still plenty of potential out there," said Mark Stutrud, founder of Summit Beer. "There's some speculation that this craft segment might reach 20 percent market share," said Stutrud, whose company is among the most successful craft brewers in the nation. "And certainly that is possible if people do their job well."